A great portable storage shelter made by Dancover. Carefully used for a boat project for 2.5 yrs now no longer required. Has proved itself to be a necessity with our unpredictable weather! That looks like a useful thing! You say "for collection": it might be helpful to indicate roughly where it is - even saying which country would be a start. 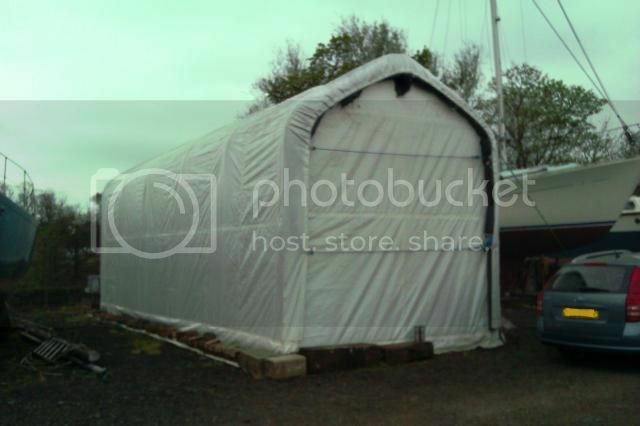 captainboo wrote: A great portable storage shelter made by Dancover. Carefully used for a boat project for 2.5 yrs now no longer required. Has proved itself to be a necessity with our unpredictable weather!